October is Breast Cancer Awareness month and Coolsmiles needs you! The Coolsmiles Orthodontics team invites you to walk with us on October 25th to celebrate survivors, pay tribute to the loved ones lost, support a current patient, and fight back against breast cancer. 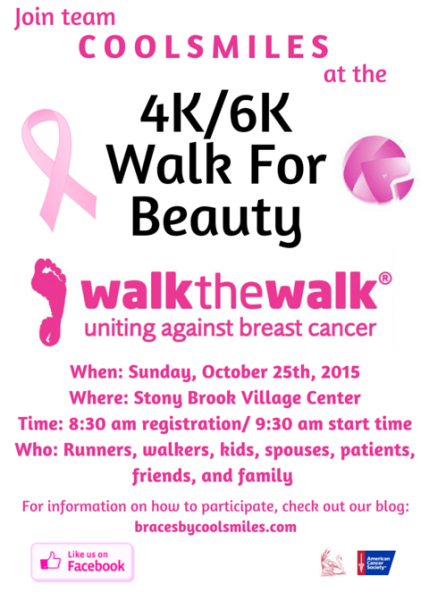 All proceeds are donated to a targeted research fund at Stony Brook Medicine For Breast Cancer Research. Step 2: Share this with friends and family!